Originally published in 1955, this is an illuminating study of the political thought and action of the Russian intelligentsia, in the decade up to and including the Revolution of 1905-6. It is based on the writings, including those in the revolutionary press, by which the chief figures of the main opposition parties expressed their political theory, strategy and tactics and related them to the turbulent events of those years. It is also based on personal interviews with some of the survivors of these political struggles. 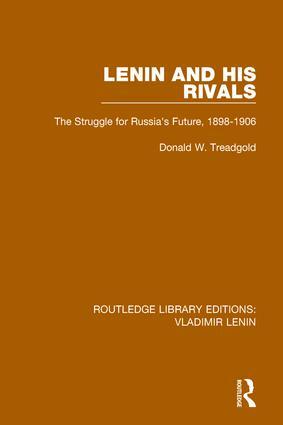 The book is focused on the emergence, starting in 1889 of the major political parties in Russia and it tells of their efforts to form a common front against Tsarism in the revolution which they confidently expected in the early years of the century.